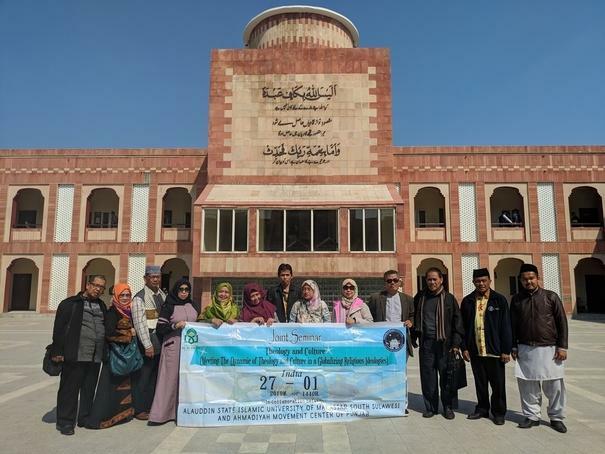 What a great blessing it was that after visiting Jalsa UK last August, some Indonesian intellectuals from Alaudin State Islamic University of Makassar, South Sulawesi had the honour of journeying to Qadian. They would have a joint seminar under the title Theology and Culture in collaboration with Ahmadiyya Movement of Punjab. They arrived on 25 February 2019 and followed a series of visits for a week. On the first day, they visited historical places in Qadian and held discussion with lecturers and students of Jamia Ahmadiyya Qadian. After that, they came to Hoshiarpur and Ludhiana, which are also blessed and historic places. A couple of days later, they also visited Agra and the Great Mosque of New Delhi and stayed in the Ahmadiyya mission house in Delhi. They then returned to Indonesia on 4 March 2019. Maulana Saifullah Mubarak Ahmad, an Indonesian missionary who studies in Jamia Qadian was assigned to accompany them. Through this visit, hopefully, Allah the Almighty will bestow on them the true understanding of Ahmadiyyat, the true Islam.